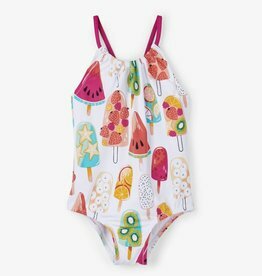 Make a splash at the pool with this super fun popsicle print swimsuit! 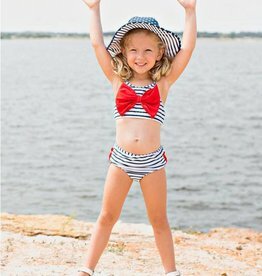 Summer holidays are not complete without a little red, white and blue! 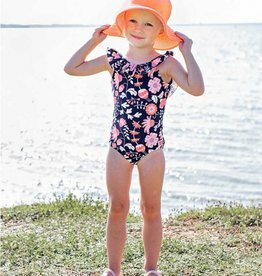 Get ready for trips to the beach and warm weather vacations with this adorable, floral one piece swimsuit. Looking for extra sun protection? 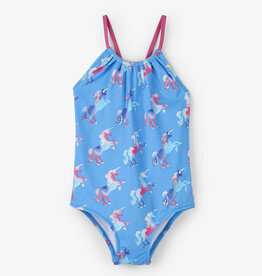 This is the perfect swimsuit! 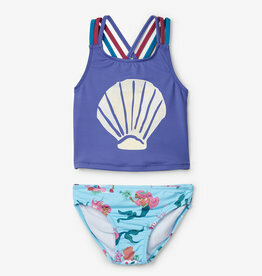 She'll be ready for the water in this adorable two piece rash guard set! 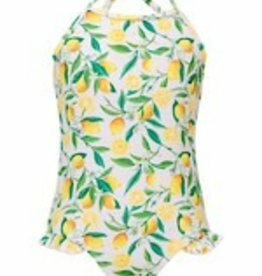 Ocean air and salty hair mix with citrus lemon making this halter swimsuit a favorite for beach girls. Adjustable neck strap. 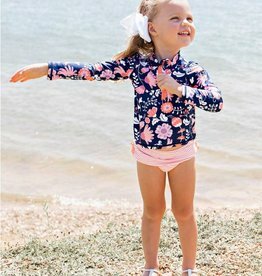 Sizes 2-8 years only have leg frill. To finish the day at the pool or beach match with our Lemon Batwing Kaftan.